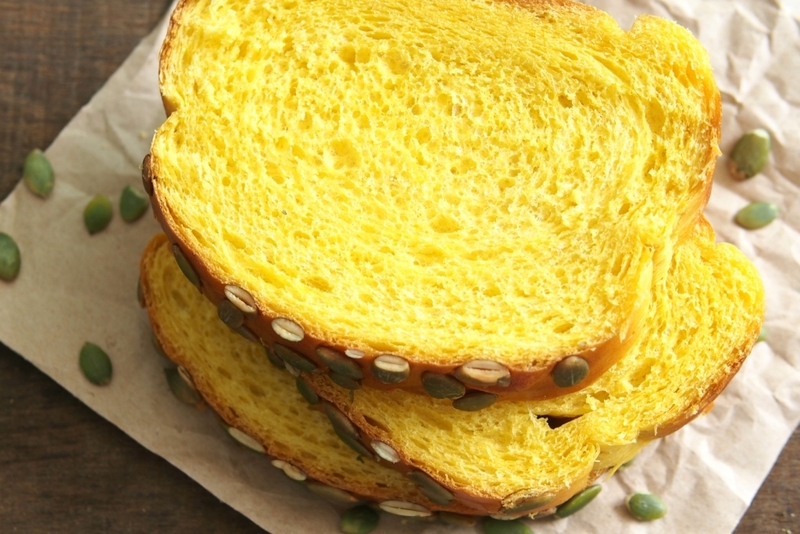 This is another healthy soft and fluffy bread that I always like to bake for my family. I have shared the recipe before. However, this time I made slight changes to the recipe. I used olive oil instead and added more pumpkin. 1. Place all ingredients in the bowl of your stand mixer and knead until it had come together and beginning become elastic or let the machine knead for 15 minutes. 2. Set it aside to rise for 45 to 60 minutess or till double in size. 4. Divide dough into 2 equal portions. Roll out each dough with a rolling pin into rectangle shape. Roll up the dough until a log is formed. 5. Place dough in 2 pans lining with non-stick baking sheet. Let it rise for another 45-60 minutes or until dough is double in size. 6. 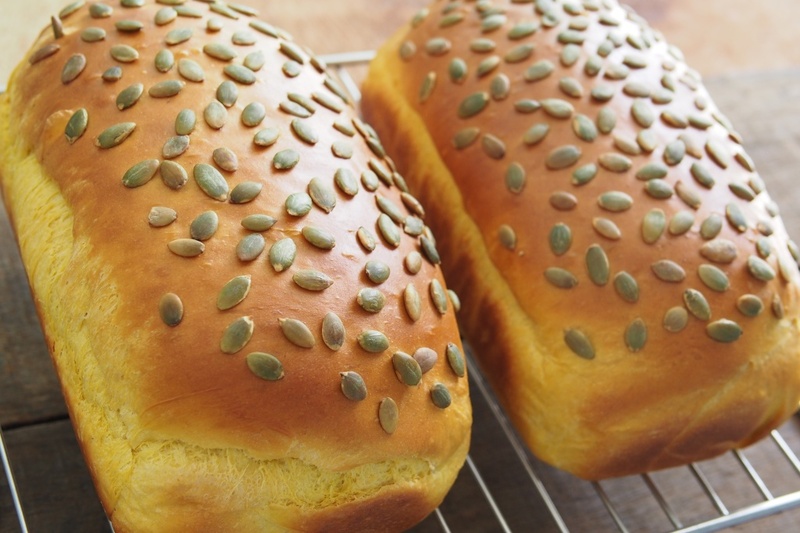 Brush the dough with egg wash (mixture of 1 tbsp egg white with 2 tsp water) and sprinkle with Pumpkin seeds. 7. Bake at pre-heated oven at 170C – 180C (with fan setting) for 25 to 30 minutes. 8. Remove bread to cool on rack completely. If dough sticky and won't form a ball when kneaded. Try adding more flour, a tablespoon at a time, until a ball is formed. If dough too dry. Correct with a teaspoon of water at a time during the kneading cycle.